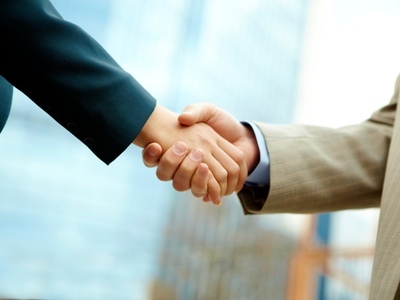 Infant formula companies that include Advanced Lipid’s INFAT OPO in their products can now use a compelling and scientifically proven ‘Super Comfort’ marketing proposition in association with their brands. A series of clinical trials have demonstrated that INFAT OPO offers four separate benefits associated with baby’s comfort. 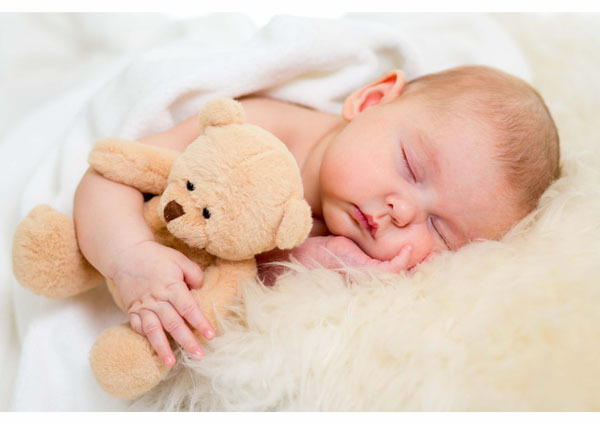 This includes new preliminary evidence that infants fed with formula containing INFAT OPO sleep for longer during the course of 24 hours and also during the night. Softer stools: INFAT promotes softer stools and, in doing so, reduces incidences of hard stools by as much as 50% compared with control formula. In addition to significantly greater levels of comfort, INFAT optimises the uptake of calcium, fat and energy. 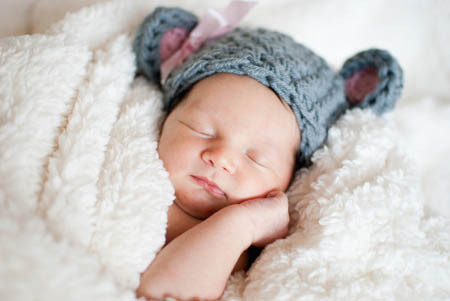 It has also been shown that bone strength in babies fed with INFAT is similar to that found in breast-fed babies. Finally, bringing the list of benefits to seven, INFAT has been shown to have a protective effect against gut inflammation, thereby enhancing gut health. INFAT OPO as an infant formula ingredient is unique in that it is a single ingredient that has been demonstrated to offer four comfort related benefits – something no other ingredient on the market can match. This means formula manufacturers can now market their products with a ‘Super Comfort’ positioning that will appeal to parents all over the world. 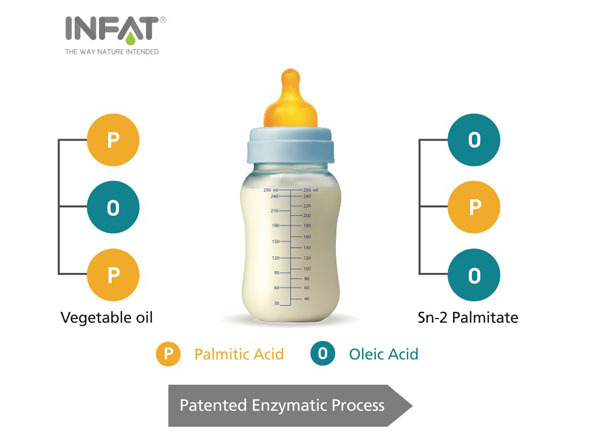 With INFAT OPO it is now possible to create a formula with a fat composition that is closer than ever to breast milk in terms of structure and benefits. Breast milk is always best for baby, but when it isn’t possible to breast-feed, formula made with INFAT OPO offers the next best solution, so parents can be confident they are giving their child a great start in life through optimum nutrition. 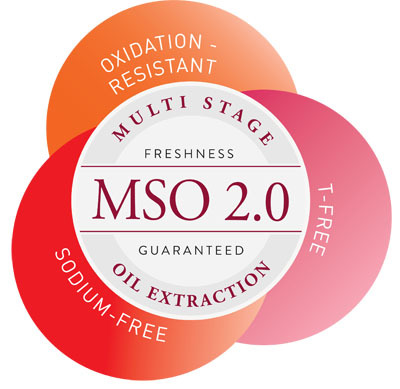 INFAT OPO is an SN2 palmitate fat ingredient that, when added as the fat component to infant formula, mimics the composition and properties of human milk fat. 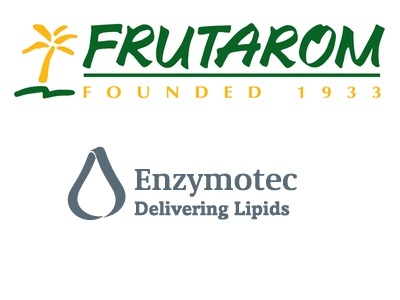 Produced in Europe using a patented enzymatic process, INFAT delivers structured triglycerides with a high level of palmitic acid in the mid position of the triglyceride for optimal infant development and well-being. It is manufactured in state-of-the-art production facilities operated by AAK, which meet all of the most stringent European quality standards.